IAdvice SEO delivers the best of Search Engine Optimization (SEO), Pay Per Click (PPC), Social Media Marketing (SMM), Online Reputation Management (ORM), SEO Copywriting and Analytics & tracking services with a well-defined strategic approach by an expert team of qualified SEO professionals . We take privilege in being one of the fastest and rapidly growing Professional Internet Marketing and SEO Services Company in Ahmedabad Gujarat, known for its ethical approach and quality SEO services at affordable prices. 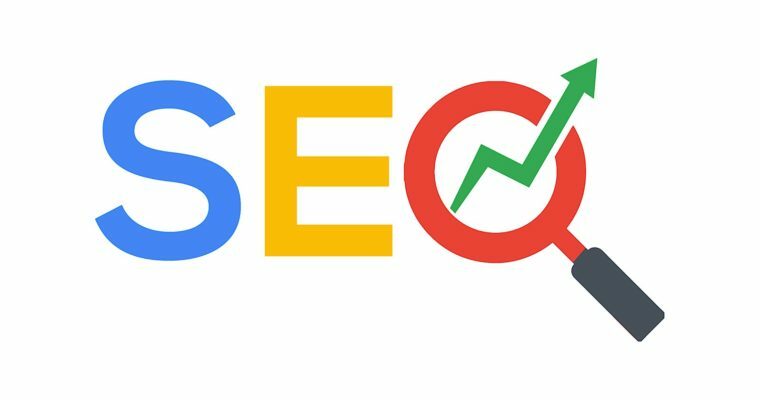 We do not guarantee overnight top 10 ranking in major search engine results, but yes we make your website enjoy top 10 ranking in Google, Yahoo and Bing over a consistent period of time. How much do you know about search engine optimization and how does it works for you ? All major search engines such as Google, Bing and Yahoo have primary search results, where web pages and other content such as videos consider the most relevant to the users or viewers. SEO isn’t just about building search engine friendly website, to making your site friendly for the search engines, to building links and marketing the unique value of your site. The web traffic is essential for a website, although social media and all the other ones generate visits to your site. This is why you need to work with a professional like the e-commerce seo expert Joe Balestrino, an excellent mentor for this as you definitely need a good management of a search engine as it will provide you more content, viewers, information, products and services. This will help your site to rank higher, as the more viewers the more profit you will have, that is basically how it works, it is an online type of marketing so you can have more traffic and higher than your competitors. Search engine optimization is important because: SEO is not only about search engines but good SEO practices improve the user experience and usability of a web site. Users trust search engines and having a presence in the top positions for the keywords the user is searching, increases the web site’s trust. There are three basic points to consider when you are working with search optimization. The content as this determines the relevancy of the search, so it will be analyzed to see how much will it work to the viewer, sometimes keywords are added to gain the attention and to target them so they redirect you to their search engines. The used links in your website are essential, this is because if you have many type that are not related it wont be as relevant, so it is important to maintain the relevancy as it is a key role for the search engine to work properly. The page structure is also important as it can impact the search engine’s ability to evaluate or analyze the page, because of the relevant keywords in the content, title, URL and headers of the page. Why do you need to optimize your website ? For a strong site you need to build it the proper way, provide more visitors so they repeat the visits and encourage to more people so it is necessary for them to have a good experience when looking at your site, so they remember it and pay attention so they can come back to be potential customers. So never forget the relevancy, the right content and a good design that appeals the viewer. Why does you internet speed matters? Maybe not much you might think, but you actually need a fast speed in today’s technological world and you need it for your smartphone, tablets, laptop, and if you use all of them your internet will slow down and won’t work well with either of the devices, your connection needs to be faster so you can be able to manage using each one of them and more if you job depends on it! Why Penguin Updates are good for your Website’s health? The world of http://www.yieldmarketingagency.com/luxembourg-seo/ and site rankings has seen a major shift with the introduction of Penguin updates. Many websites that enjoyed higher ranking in the search engines, were dethroned by this new algorithm. Google has been taking preventive and useful measures to cut down spamming and penalize duplicate content and unnatural linking. In-depth Analysis of Google Panda and How to stay Alive in its Presence? What is Panda Update all about?